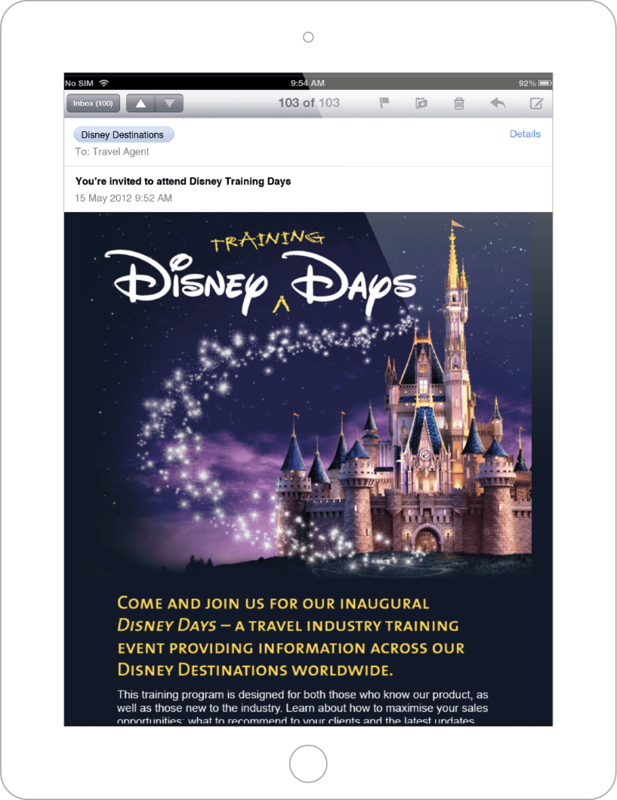 This travel trade training event for Disney Destinations was promoted via electronic direct mail. 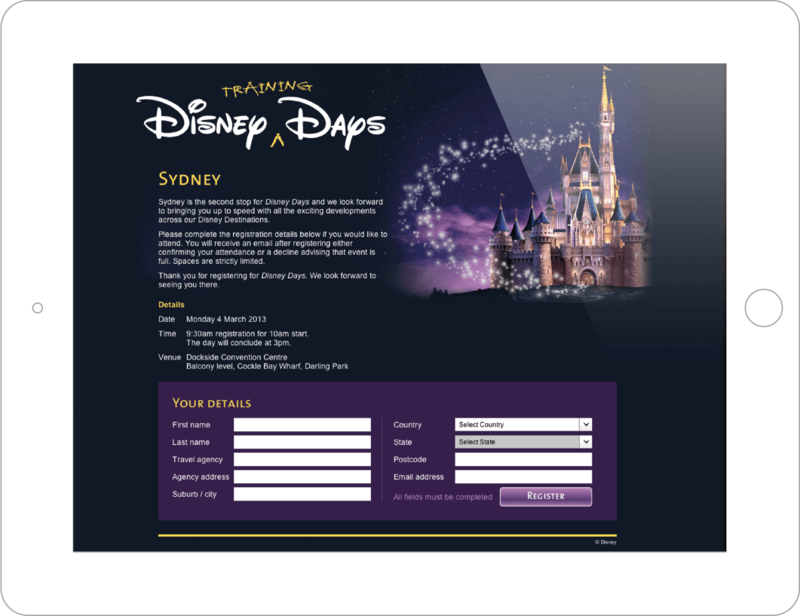 Attendees were directed from the EDM to a registration page with registrations for dates in Sydney and Melbourne managed in a custom built online database. All elements of the campaign were subsequently adapted for use internationally.